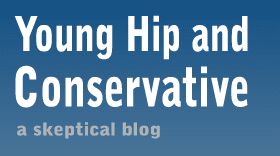 Young, Hip and Conservative: a skeptical blog: Is the local food movement doomed? The New York Times just ran an op-ed piece by sea-farmer Bren Smith lamenting that the small farm craze is terrible for the farmers. My experience proves the trend. To make ends meet as a farmer over the last decade, I’ve hustled wooden crafts to tourists on the streets of New York, driven lumber trucks, and worked part time for any nonprofit that could stomach the stink of mud on my boots. Laden with college debt and only intermittently able to afford health care, my partner and I have acquired a favorite pastime in our house: dreaming about having kids. It’s cheaper than the real thing. Combine this with Dan Barber's recent assessment that the local food system is failing because no one wants to eat the cover crops, and the ongoing problem of local producers dishonestly repackaging mass-produced goods to make ends meet, one wonders if this snobby food fad is going to burn out in the next few years. The "food miles" environmental argument has already been destroyed, and now with visible tears in the economic arguments the only thing left is aesthetics. Look, the problem with agricultural subsidies isn't that they are going to the wrong types of farms; the problem is that they exist in the first place. This is my big problems with the local food movement: They want their private indulgences paid with public money. Small farm artisan foods are luxury items and if patrons won't agree to higher prices the answer is to let the industry die, and not to shake down taxpayers for more subsidies, grants and tax breaks. Especially in urban areas, supporting your local farmer may actually mean buying produce from former hedge fund managers or tax lawyers who have quit the rat race to get some dirt under their fingernails. We call it hobby farming, where recreational “farms” are allowed to sell their products at the same farmers’ markets as commercial farms. It’s all about property taxes, not food production. As Forbes magazine suggested to its readers in its 2012 Investment Guide, now is the time to “farm like a billionaire,” because even a small amount of retail sales — as low as $500 a year in New Jersey — allows landowners to harvest more tax breaks than tomatoes. It sounds like bailout farmers are being gored by their own ox. "...farmer isn't making a living" This is a feature, not a bug. The more peasants created, the more power flowing back to the creators.